You’re reading novel King of Gods Chapter 932 - Unparalleled Heaven Battling Bloodline online at LightNovelFree.com. Please use the follow button to get notification about the latest chapter next time when you visit LightNovelFree.com. Use F11 button to read novel in full-screen(PC only). Drop by anytime you want to read free – fast – latest novel. It’s great if you could leave a comment, share your opinion about the new chapters, new novel with others on the internet. We’ll do our best to bring you the finest, latest novel everyday. Enjoy! The appearance of the figure in black robes caused the fierce fights over the positions to quiet down. He killed a Quasi-Sacred Lord from the Ground Demon Cult with cruel and terrifying power. This terrified the members behind the princes that had no intention of becoming the Crown Prince. They weren't very strong, and if they met the black-robed person in the Imperial Tombs, they would definitely die. Some geniuses who were planning to challenge him instantly stopped their footsteps. The rate of death amongst the trial to become Crown Prince was quite low. If the forces behind the opposition didn't have any life-or-death enmity, they usually wouldn't kill the loser since they wanted to avoid unnecessary conflict. This meant that the danger of entering the trial was rather low, but this black-robed person didn't seem to care about any of that. He didn't even put the three-star Ground Demon Hall in his eyes and just killed Tang Ze right on stage. The strength of this black-robed person made even some Sacred Lords wary. This person would single-handedly increase the rate of death within the trial to become Crown Prince. A powerful male behind the Thirteenth Prince recovered from his shock and immediately sent the Thirteenth Prince a message, "Chen'er, did you recruit this member?" "Uncle, he's not bad, right?" The Thirteenth Prince had a smug expression. He was extremely satisfied with this core battle member. "He's very strong, but you need to watch out." The expression of the powerful male kept on changing. This black-robed male was extremely mysterious and strong. He wasn't even scared of the three-star Ground Demon Hall, so why would he help Zhou Chen? The Thirteenth Prince didn't take his uncle's words to heart. He looked coldly toward Zhao Feng. The trial to become Crown Prince is where you will die. As the sparring on the other arenas continued, everyone's attention started to move away from the black-robed person. After all, some of the people present were also peerless geniuses that had been famous for hundreds of years, and each one of them had strong battle-power. On the other hand, the arena of the Ninth Prince was quiet, and no one came to challenge any of them. All the members were silent as well. Su Qingling's talent in the Soul Dao made the Ninth Prince's team happy, but the black-robed person made them depressed. The Death Soul Intent that the black-robed person displayed completely surpa.s.sed Su Qingling's Soul Intent, and even Jing Kai felt that only death would await him if he fought the black-robed person. "Don't be tricked by what you see. If that person's Soul Intent is so strong, it means that his physical body is his weakness. As long as we maintain a distance and use long-range attacks, we can win," Old Ying had a grim expression as he slowly spoke, and his words calmed everyone's fear. Just like what Old Ying said, that was the best way to deal with soul-based experts. While they were using their soul techniques, they could be easily a.s.sa.s.sinated. For example, when Zhao Feng used his Soul Chains or his Gaze of the G.o.d Eye, he was basically unable to move or do anything else without messing up his technique. When the black-robed person killed Tang Ze with his Soul Intent, if someone had ambushed him from the side, he probably would've been heavily injured, and they would've been able to save Tang Ze. Therefore, the trial to become Crown Prince required good teamwork. Zhao Feng suddenly revealed a smile as he turned toward the arena of the Eighth Prince. "Cao Ling from the Cao Family would like to challenge Yu Tianhao of the Yu Family." A middle-aged male with a muscular figure looked at a handsome youth with closed eyes. "Yu Tianhao's going to fight now." "The Cao Family only has one spot amongst the Eighth Prince's group while the Yu Family has two. There was obviously going to be a fight amongst them." "Yu Tianhao has the Unparalleled Heaven Battling Bloodline, so it's reasonable for the Yu Family to have two spots." " The Unparalleled Heaven Battling bloodline?" 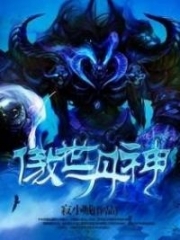 Everyone had only heard of Yu Tianhao's Unparalleled Heaven Battling bloodline and never actually seen it before. Therefore, in everyone's eyes, it would be easier to replace Yu Tianhao in comparison to the others since he was so young. However, due to the power of the Yu Family, which was one of the Eight Big Families, not just anyone dared to take it from him. While the Cao Family was weaker than it was in its prime, it was still one of the Eight Big Families, so they had the right to compete. Yu Tianhao suddenly stood up, and a surge of battle-intent appeared in his eyes. Everyone around the arena felt a shocking battle-intent rise into the sky. The will to battle within their bodies seemed to awaken as well. Cao Long gave a satisfied smile. It looked like Yu Tianhao wasn't someone without strength who only depended on the Yu Family. Cao Ling suddenly leapt into the air and turned into a black shadow that charged over with the momentum of a storm. "Unparalleled Under the Heavens!" A powerful Intent radiated from Yu Tianhao's body as he took action. A blazing light shot out from Yu Tianhao's palm. "Rising Wind Punch!" In the next instant, Cao Ling's black fist clashed with it. They both took a few steps back before steadying themselves. Cao Ling's figure turned into a streak of dark light once more, appeared above Yu Tianhao, and kicked downward. Powerful Intent with the pressure of Heaven and Earth appeared on the leg. It seemed to become Mount Tai as it crushed downward, and everyone else watching found it hard to breathe. They had to circulate their True Yuan to protect themselves. "Unparalleled!" A supreme Intent surged from Yu Tianhao's body. A mysterious giant palm surrounded by orange light pushed upward and engulfed everything that it pa.s.sed. Cao Ling's thunderous attack was instantly destroyed, but there was no sign of Cao Ling. "Sky Cracking Palm!" Cao Ling was like an arc of lightning as he appeared on Yu Tianhao's left side, and a surge of sharp air shot out and blew away the dust nearby. "As expected of the Cao Family. He moves like lightning, and his attacks are as strong as mountains." "I heard that the minimum requirement to become a Core disciple of the Cao Family is train ten middle-tier Earth-grade battle techniques to their peak." "The Cao Family is apparently full of close combat masters, and they have some body-strengthening techniques." Everyone praised Cao Ling's powerful Intent and thunderous attacks. Cao Ling had countless close-combat techniques. "As expected of one of the Eight Big Families. Looks like I will have to use my true strength." Yu Tianhao's eyes glittered as a certain bloodline seemed to burn and ignite within his body. An ancient and mysterious figure in the shape of a human appeared and moved in sync with Yu Tianhao's body. The dim orange light around Yu Tianhao's body released a brilliant glow of light, and a mental energy battle-intent shot into the air. Yu Tianhao's every action was in sync with the cold figure behind him. His every movement contained battle-intent that was enough to scare G.o.ds and Ghosts alike, and it destroyed all the powers around him. Cao Ling felt as if a deity was looking down on him, and all his powers were suppressed. Some of the Kings and Emperors present felt like they had been struck by lightning. They had to circulate their True Yuan in order to resist the pressure. On the arena, a surge of battle-intent clashed with the barrier, and a Sacred Lord from the Yu Family instantly released the same power to form another barrier and protect everyone. At the same time, he had a faint smile as he looked at the cold figure behind Yu Tianhao's back. "Oh my G.o.d! It really is the Unparalleled Heaven Battling bloodline!" "Apparently, this bloodline can be ranked within the top ten Imperial Dao bloodlines!" "What battle-intent! I probably wouldn't even be able to stand in front of him." The hearts of countless experts in the sky shook. They could feel a strong surge of battle-intent even from a thousand miles away. The expressions of Tie Hongnan and the others from the Tie Family within the Fourth Prince's hall had grim expressions. The Tie Family and the Yu Family both guarded the northwestern borders, and the two families had a lot of conflicts with each other. The Heaven Battling bloodline of the Yu Family was slightly weaker than the Blood Devil Sun bloodline, but the rumored Unparalleled Heaven Battling bloodline was unrivalled and even slightly stronger than the perfect Blood Devil Sun bloodline. However, the Yu Family had regained this bloodline once again while the perfect Blood Devil Sun bloodline of the Tie Family was in the body of some outsider who didn't even have the Tie surname. The expressions of the people within the Eighth Prince's hall went faintly red. The Yu Family was one of the biggest supporters of the Eighth Prince, and Yu Tianhao's Unparalleled Heaven Battling bloodline was extremely powerful. The Eighth Prince looked at the arena with excitement. He had finally managed to persuade the Yu Family at the last moment, and the unexpected joining of the Ji Family instantly increased his overall strength dramatically. On the arena, Cao Ling didn't show any signs of weakness when facing the Yu Tianhao who had become much stronger. A surge of Heaven and Earth power covered him and barely managed to block Yu Tianhao's Intent. "Divine Force Punch!" Cao Ling used this force to close in on Yu Tianhao as he gathered his True Yuan and punched out. "Unparalleled Under the Heavens!" Yu Tianhao used this skill once more, and with the addition of his Unparalleled Heaven Battling bloodline, its power increased by several times as the cold figure behind him also thrust a palm out. A beam of orange light shot out and crushed everything in its path before throwing Cao Ling out of the arena. The fight came to an end. The powerful bloodline shook the hearts of the other fighters in each of the arenas. s.h.i.+ Yulei on the Ninth Prince's arena had a solemn expression while Jing Kai faintly lowered his head. The figure behind Yu Tianhao slowly faded away, and he suddenly started talking in an excited tone in the direction of the Ninth Prince's arena; "Let's have another fight!" Many gazes instantly turned toward the Ninth Prince's arena. Who was it that the owner of the Yu Family's Unparalleled Heaven Battling bloodline would personally ask to fight? Was there someone from the Ninth Prince's team with comparable battle-power? The members of the Ninth Prince's group were surprised and looked at one another. Who was Yu Tianhao talking to? It wasn't a good thing for someone with such battle-power to keep an eye on them. s.h.i.+ Yulei and Jing Kai immediately shook their heads and signaled that they had never seen Yu Tianhao before. No one had recovered from the exciting fight yet when suddenly, on the Thirteenth Prince's side, a fierce battle erupted between Qi Peng, an old genius from Nine Darkness Palace, and a challenger from a Grand Duke Palace. Two Mechanism Masters on the Twelfth Prince's arena had also started their exchange as well. All the fights for the positions were extremely fierce. Only a small number of people could just sit there and watch everything calmly. The countless forces in the sky and those within the surrounding halls could feel that the fights for the positions were coming to an end. The ten princes in the hall stood up instinctively and felt a wave pa.s.s through their hearts. Jing Kai, who was next to Zhao Feng, suddenly felt his body go numb. He turned toward Zhao Feng, but he didn't find anything out of ordinary. Zhao Feng gave a faint smile and was secretly overjoyed. I didn't expect the power of the ancient lightning to be able to merge into my G.o.d Tribulation Lightning Soul Body. Looks like my soul should be called a Lightning Soul Body then. You're reading novel King of Gods Chapter 932 - Unparalleled Heaven Battling Bloodline online at LightNovelFree.com. You can use the follow function to bookmark your favorite novel ( Only for registered users ). If you find any errors ( broken links, can't load photos, etc.. ), Please let us know so we can fix it as soon as possible. And when you start a conversation or debate about a certain topic with other people, please do not offend them just because you don't like their opinions. You're reading King of Gods Chapter 932 - Unparalleled Heaven Battling Bloodline. This novel has been translated by Updating. Author: Fast Food Resturant,快餐店 already has 1473 views. Current Time is Apr-23-2019 22:27:28 PM.